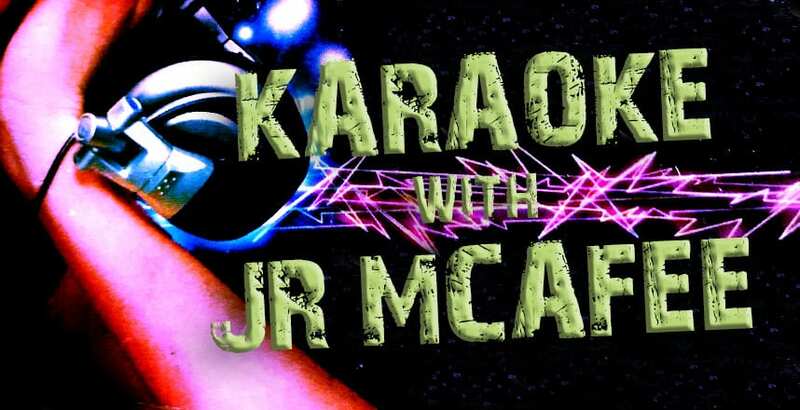 Step up to the mic and sing your favorite songs during Karaoke Night with DJ JR McAfee! Karaoke Night takes place every Wednesday inside the Matterhorn Lounge. Enjoy a few drinks, a bite to eat and sing-a-long fun with your friends! Seven Springs Mountain Resort, Hidden Valley Resort and Laurel Mountain Resort strive to provide responsible, safe and professional service of alcohol. We will endeavor to serve our guests in a responsible, friendly and professional manner and to abide by the conditions of our liquor license and our company values. Staff members are on hand to assist our guests in enjoying their time at Seven Springs, Hidden Valley and Laurel Mountain and to assist in their decision to drink in moderation and, where appropriate, avoid drinking activities that put guests at harm or risk. We are committed to adhere to all liquor laws. The Manager on Duty, Security or any Server has the authority to check ID to verify proof of age for entry into any bar or lounge area. No one under the age of 21 can purchase or consume alcoholic beverages. Guests must be 21 years of age at the start of the business day. Guests who purchase a bottle of wine as part of their meal in the Slopeside Dining Room, Helen's, or Clocktower restaurants are permitted to re-cork and take any unfinished portion of the wine when they leave the restaurant. However, they are not permitted to bring the opened, unfinished bottle of wine into any of the bar or lounge areas. A valid driver's license issued by any state. A valid photo identification card issued by any state. A valid United States armed forces ID card that contains the holder's photo. A valid passport, passport card, or travel visa which contains the holder's photo. Failure to produce a valid ID will result in refusal of entry into a venue that is a 21 and over venue. Seven Springs and Hidden Valley reserve the right to deny access to any bar or lounge to anyone who is visibly intoxicated, exhibits rowdy behavior or to prevent overcrowding. Seven Springs and Hidden Valley reserve the right to limit alcohol purchase to one drink per person on any occasion. Persons who in the opinion of the service staff and/or security are found to be harassing other patrons or using foul language will be asked to leave the resort. Chairs and drinks are not permitted on the dance floor. Dancing is not permitted on tables or chairs. No beverages are permitted to be carried into any bar or lounge area. Outside alcoholic beverages are not permitted to be brought onto the licensed premises. The only exception is that a guest may bring a special or private reserve wine to Helen's restaurant. A $20 corkage fee will apply to all wine purchased. Seven Springs and Hidden Valley reserve the right to search any bag, backpack or purse. Sleeping is not permitted in any bar or lounge area. Drinking games, card or dice playing or arm wrestling is not permitted. To-go beer may be sold not to exceed 192 oz. (2- 6-packs of 16oz) and must be bagged. Last call: 30 minutes before scheduled closing time or at the Manager's discretion. Entertainment ends / last pour / lights up: 15 minutes before scheduled closing time or at the Manager's discretion. Stock piling of drinks is not permitted. Pitchers of beer, shots or doubles will not be served after 12:00 midnight. No shakers or "mountain pours" given to guests. All staff involved in the sale and/or service of alcohol must have completed RAMP (Responsible Alcohol Management Program) training and certification. Ongoing retraining will be conducted as required. All staff will be knowledgeable and understand Seven Springs and Hidden Valley House Policies. At no time is staff to encourage excessive or unsafe drinking practices. Minors are not permitted to sit at the bar, but at tables within the licensed area. Minors are accompanied by a parent. Minors are under "proper supervision". Proper supervision is a person who is 25 years of age or older, who is directly responsible for the care and conduct of the minor and who keeps the minor within sight and hearing at all times. Bavarian Lounge – Minors are not permitted after 9:00 p.m. Minors are permitted in the seating area on the Bavarian Deck at any time under proper supervision. Matterhorn – Minors are not permitted. Foggy Goggle – Minors are not permitted after 9:00 p.m.
Glaciers – Minors are not permitted after 9:00 p.m. If a guest is considered to be a VIP (Visibly Intoxicated Person), a Manager, Bartender, Server or Security has the authority to discontinue service or "shut off” the guest. Service to a visibly intoxicated patron is a violation of the state liquor code. Shut Offs will be documented by Security. At minimum, the Date, Time and Description of the Incident will be noted. Guests who are shut off will be asked to leave the bar or lounge area. Guests who are shut off in one bar or lounge are not permitted to be served in any of the other bar or lounge areas. The Tee Top Lounge at Seven Springs and Mulligan's at Hidden Valley adheres to the house policies of Seven Springs Mountain Resort outlined in this document. The sale of kegs to be consumed on the licensed property during golf outings is permitted. A RAMP trained attendant will be scheduled to serve the beer from the keg during the outing. Any unused portion of the keg cannot be moved off of the golf course property. Groups wanting to entertain guests in a hospitality suite can do so by hosting a bar in a suite designated as a hospitality gathering or in a banquet room. Alcohol will be provided and billed based on consumption. A beginning and ending inventory will be taken. Hospitality suites cannot exceed a 5 hour time period per day. A bartender will be scheduled to serve the hospitality alcohol at a rate of $75 per suite. Kegs are not available to hospitality suites in guestrooms. Kegs can be sold to hospitality suites in banquet rooms. No alcohol will be sold without a bartender. No outside alcohol can be brought into the hospitality suite. Hospitality suites in guestrooms will end at 11:00 pm in accordance with our quiet time policy. Hospitality suites in banquet rooms will have a last call no later than 1:15 am and last pour at 1:30 am. All alcohol will be removed from the suite at closing time. Hospitality suites adhere to the house policies of Seven Springs Mountain Resort outlined in this document. Open or hosted bars cannot exceed 5 hours in a business day. Shots are not offered during open or hosted bars. Bartenders will not automatically offer doubles to guests who are ordering a mixed drink. No tip jars are permitted on open or hosted bars. Banquet bars will have a last call no later than 1:15 am and last pour at 1:30 am. Seven Springs Mountain Resort is a smoke-free environment.